I know that many of us always have this great and big bag, they're perfect but sometimes we don't want that beautiful weight with us all day. I'm not one of those people who have very big ones the only thing that I always carry with me is a powder, lipstick, mascara, the charger for my phone, my keys, money and my ID, I'm one of those who say "I'm not a slave, I can't stand a heavy weight on my shoulders all day". These small bags have taught us the basics on our hands, is something simple to go to places where you not need to much. At Fashion Week I see in many pictures, many women with these small thing on his shoulders (although I know that the boyfriend and the photographer had the rest), is something practical that you can do once a week, relax your shoulders. These are GENIUS! I'm definitely going to have to try that out. Love it! Such a simple and good idea. 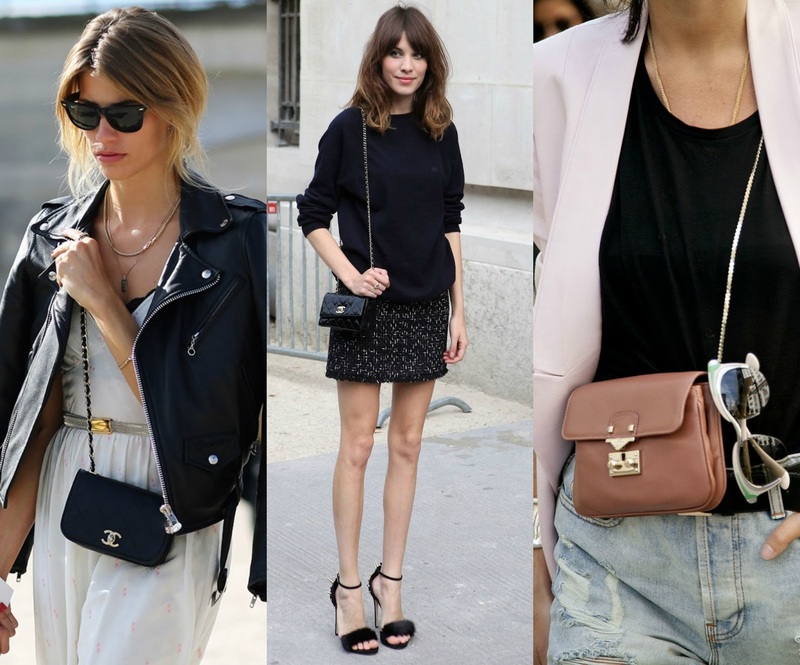 Personally I am a small bag kinda girl :) So I am happy to see the mini bag trend! I'm a fan of all handbags big and small. Always love an excuse to add more to my collection. Can't wait to get some more mini bags. Fancy, no need carrying a travelling bag around.